Home / Meaningful Composition / Meaningful Composition 3-II: Create! 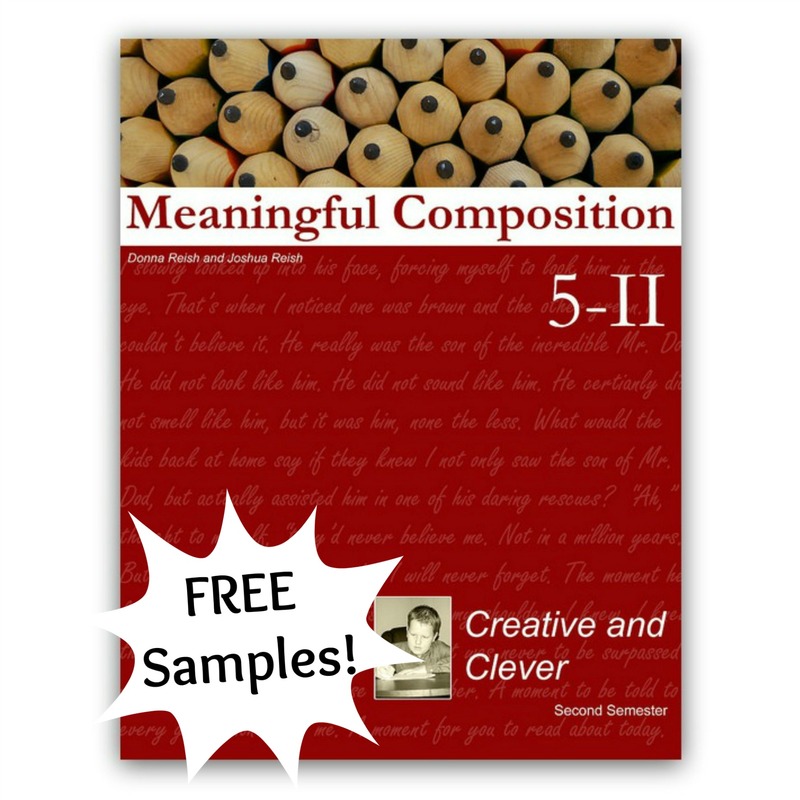 This sixteen week book teaches grammar, usage, word, prewriting, sentence writing, and paragraph writing skills in a directed, pain-free manner using amazing topics about godly people, animals, literature, gold, and more. It focuses on creative writing through such literary works as Pilgrim’s Progress, The Jungle Book, and Dumbo while still being extremely directed. It is the first in our “creative writing line up”—each second semester, odd number book is creative writing (3 II, 5 II, 7 II, 9 II, and 11 II). This book moves from sentence writing to paragraph writing quickly—while still directing the student every step of the way. Nothing is vague or left to chance. 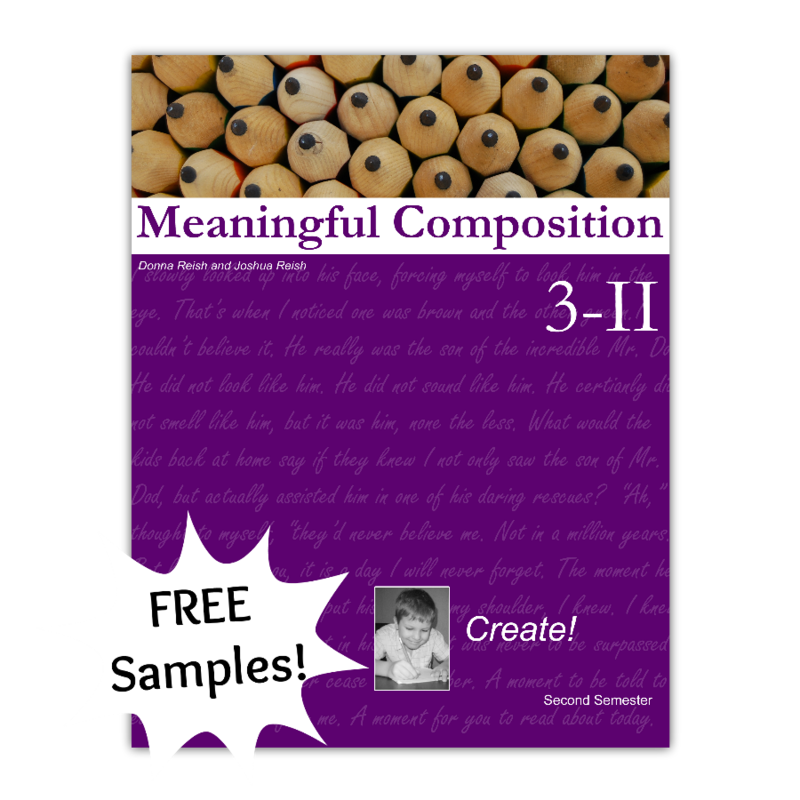 Meaningful Composition 3 II is the last in our younger elementary line up of MC books. 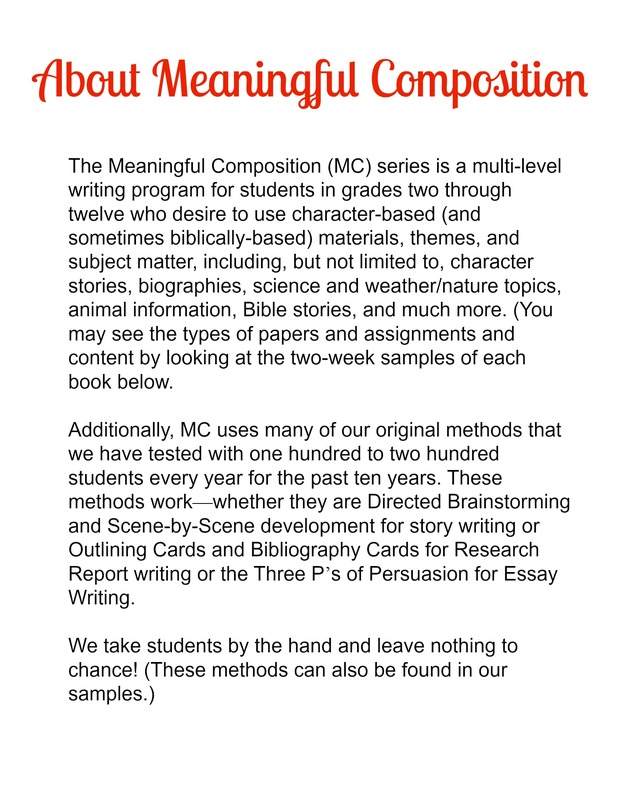 It is similar to the other elementary books in the MC series (2 I, 2 II, and 3 I) in that it offers your third grade level student a complete language arts experience using meaningful passages as the basis of each weekly lesson. (The last few weeks are more writing-only oriented as opposed to complete language arts. 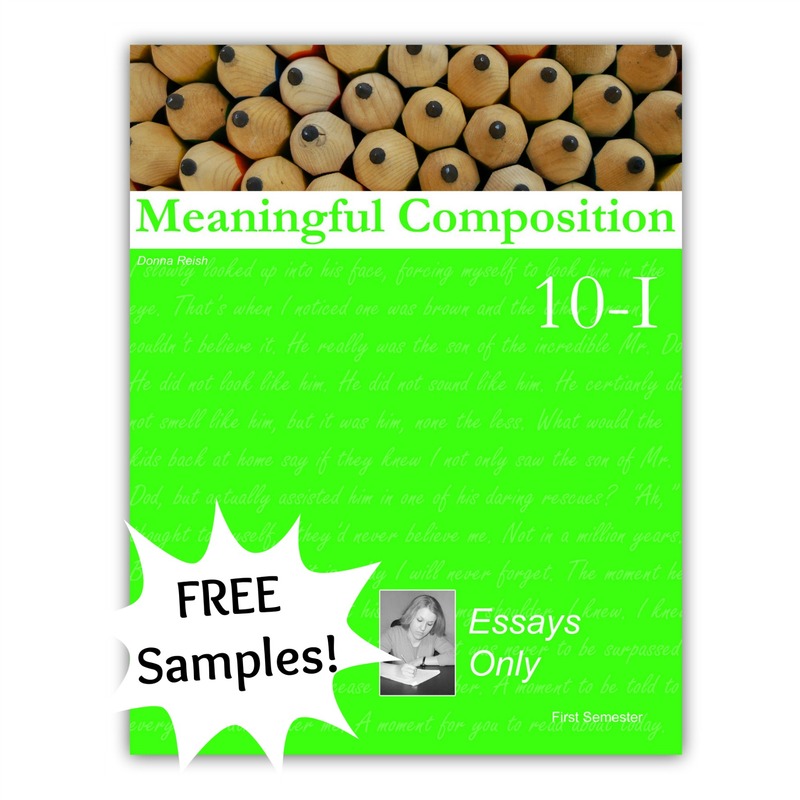 )This sixteen week book teaches grammar, usage, word, prewriting, sentence writing, and paragraph writing skills in a directed, pain-free manner using amazing topics about godly people, animals, literature, gold, and more. 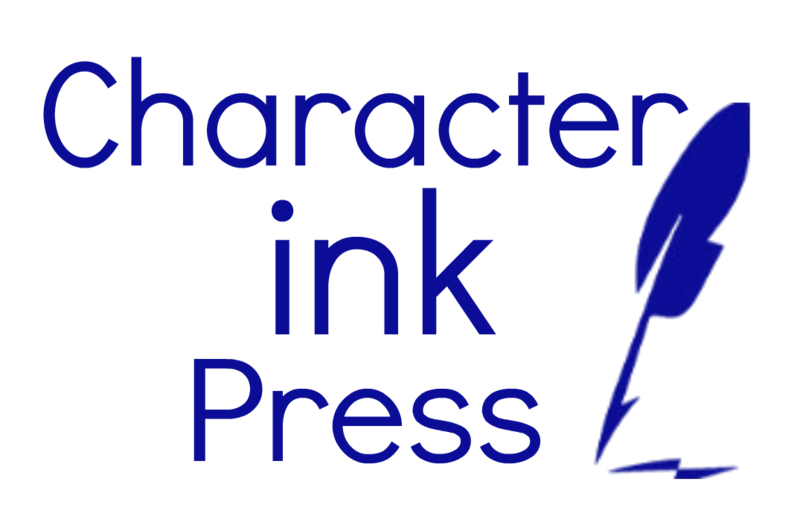 It focuses on creative writing through such literary works as Pilgrim’s Progress, The Jungle Book, and Dumbo while still being extremely directed. It is the first in our “creative writing line up”—each second semester, odd number book is creative writing (3 II, 5 II, 7 II, 9 II, and 11 II). This book moves from sentence writing to paragraph writing quickly—while still directing the student every step of the way. Nothing is vague or left to chance. Expanded outlining methods are taught, including writing boxes, brainstorming boxes, finish the scene spaces, rhyming word boxes, and more. 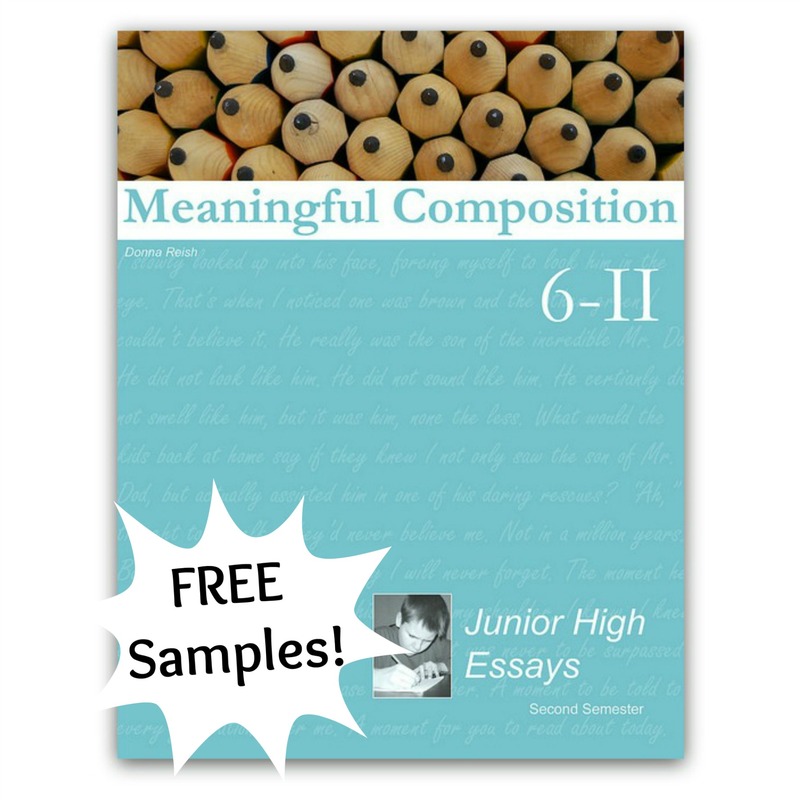 This book continues with weekly lessons laid out in a predictable manner—passages, Editor Duty sentences, Wacky Words, language lessons, prewriting exercises, Checklist Challenge lessons, full Checklist Challenges, dictation, and more for the first ten weeks then moves into more original creative writing and related skills. Check out out two week samples to “try before you buy”!